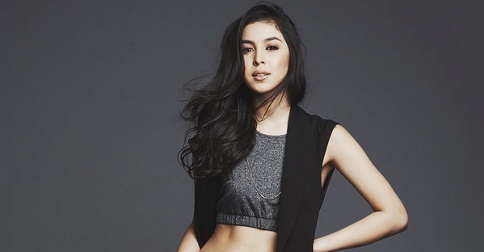 The incident also involves Liza Soberano, Luis Manzano, Jessy Mendiola, Paulo Avelino, and Jake Cuenca. (SPOT.ph) It all started with a blind item posted by TV5 showbiz reporter IC Mendoza on his Instagram account. He hinted at a "young actor" who got drunk and caused a scene with fellow celebrities in an international flight. The actor was reportedly bothering a young actress on the same flight. When she told him off, the actor lashed out, which prompted a "TV host" to step in and calm him down. The actor's love team partner also tried to pacify him, but the actor only shouted expletives at her. She reportedly slapped him after. 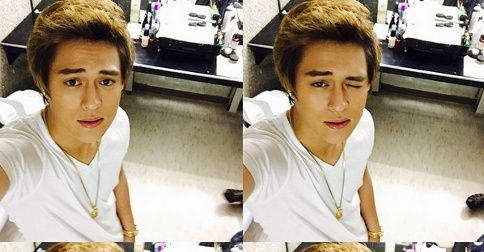 According to a report from PEP.ph, their sources said the young actor was Enrique Gil during a September 4 flight. You might remember that ASAP stars recently flew to London for a special episode. The source said that Jake Cuenca and Paulo Avelino ordered Black Label on the flight, and Enrique wanted to join in but the flight attendant refused his request, because his handler forbade them to give him alcohol. Jake and Paulo discreetly gave Enrique alcohol. The drunk Enrique started to bother Liza Soberano, who supposedly told them they would "get [her] in trouble" and brushed him off. He then focused his efforts on a nearby Jessy Mendiola. Luis Manzano, who was seated beside her, tried to step in—which only upset Enrique. He allegedly lashed out at Liza and Jessy, screaming, "F*ck you, b*tch!" Paulo and Jake also tried to intervene, but things didn't start to calm down until Hayden Kho (who was also on the flight) stepped in. The source didn't see Liza slapping Enrique, but said that another eyewitness confirmed it. On Instagram, Jessy posted a photo with Luis, thanking him for his protection. In a later post, she heavily hinted at the incident, writing, "The truth will always come out no matter how you lie about it. You know what you did, so don't try to squeeze yourself out by fabricating stories." In a separate interview, Jake denied being part of the incident, saying, "Sa totoo lang, nagulat ako. Nagulat ako kasi talagang hindi ako involved sa issue." He, however, didn't directly deny nor confirm what happened and said that he was asleep the whole flight. Meanwhile, Paulo said to just wait for Enrique to air his side and added, "Mabait naman na bata si Enrique." The 23-year-old has yet to release a statement.